Life is perfect for seven-year-old only child Timothy Templeton. His mom and dad lavish him with attention and take part in all his imaginative adventures. But things change when a suit-wearing baby brother enters the picture. The kids don’t get along and things get even worse when Tim discovers his new baby brother is actually a manager for a global baby business conglomerate on a secret mission to figure out a way to prevent puppies from stealing the love of infants. 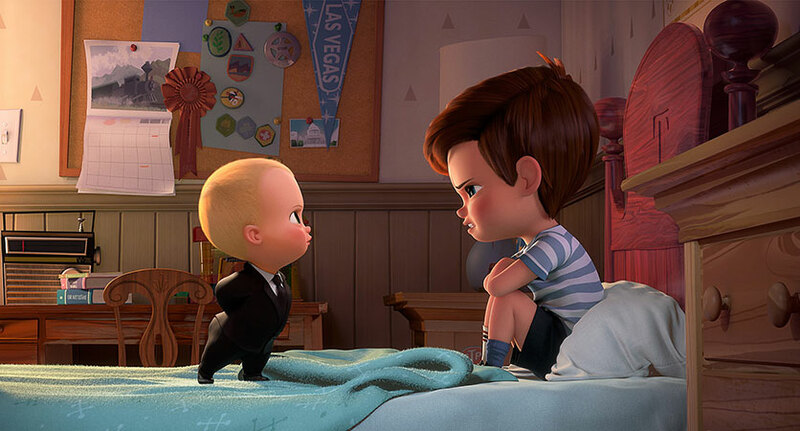 The Boss Baby and Tim decide to put their mutual dislike aside and work together so they can each go back to the lives they used to have. Sounds weird, right! And it is. It’s best not to ask too many questions and just go with it. I always hate writing reviews for this type of movie. It’s obviously meant to be light entertainment directed at kids. This isn’t one of those films meant to appeal to adults on another level. That said, there’s no rule that says movies just for kids can’t be really well made. So let’s get into it. The basic plot is nonsensical. Nothing wrong with that, if you own it. But it is told in a very conventional way — as if we’re supposed to take it all seriously. Luckily the writers have an out. 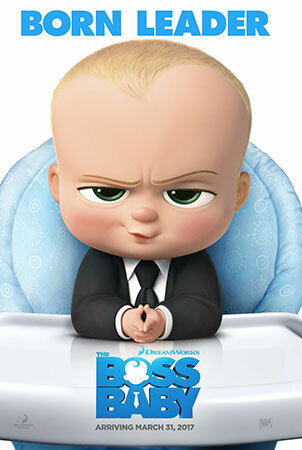 I’m not going to spoil it here, but for over half the movie there’s a completely reasonable, and somewhat clever, explanation for a briefcase-carrying baby who has wads of cash walking and talking like an adult. Then suddenly near the end, they veer away from that more satisfying conclusion and go with the more traditional ending. Yes, that’s their prerogative as writers, but why even include in all the hints for the other direction if you never intended to go there. (My completely unsubstantiated opinion is that they may have planned to go one way then changed the ending at some point in the filmmaking process.) The reason this is so maddening is that it takes what could have been a cool revelation for kids to figure out and replaces it with just another loud, action packed finale. That ending includes what feels like a very forced emotional moment where we’re supposed to get teary-eyed that falls completely flat as it is so obviously tacked on, unattached to anything before it. I won’t get into any more of the story since, as I mentioned already, it is aimed squarely at kids so not much to dig into. But I do want to call out one annoying thing. Yes, DreamWorks — babies have bottoms. And sometimes they get uncovered. So a joke or two is warranted. But the amount of potty and rear-end related “humor” in this film borders on the obsessive. The animation in The Boss Baby is par for the course for 2017. The character designs are well done but nothing special. One aspect of the animation does deserve recognition. Sometimes when Tim is playing we get to see the world through his mind’s eye, and in those moments the animators are able to let their own imaginations run free. It would have been a lot of fun to explore that area of the story. The voice actors here are like the story and animation: completely fine for what they were going for. Alec Baldwin has a distinctive voice that works well for the overly-precocious baby, but so much of his dialogue is just random corporate-speak that doesn’t give him a lot to work with. Miles Christopher Bakshi gives Tim a realistic child-like quality without feeling like an amateur kid behind the mic. Jimmy Kimmel and Lisa Kudrow are there as Tim’s parents. OK, that’s not fair! Most of their problems are they aren’t given much to do. And Steve Buscemi has a great manic bit as the boss of Tim’s parents. 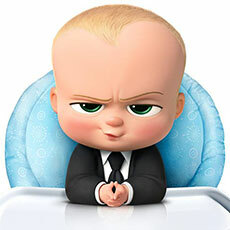 The Boss Baby is better than the trailer made it look, but only because the trailer was so bad! Kids will have some fun, but adults sitting with them will be wishing they were at the grown-ups table instead.